With his enthusiastic hype and on-air shenanigans, Dr. Oz has always impressed me as sounding more like a used car salesman than a respected cardiothoracic surgeon. A used car salesman may tell you the car is in pristine condition, was always kept in a heated garage, and was only driven round the block once by a ninety-year-old great-grandmother. Then you find out it makes strange rattling noises, and you get a CarFax report that says it was extensively rebuilt after being nearly totaled two years ago in a collision with a cement truck. The used car salesman has lied to you and sold you a lemon. Dr. Oz promotes all kinds of questionable health claims. He keeps coming up with the next Miracle Weight Loss product, always supposedly better than the one he promoted last month. He has guests who provide testimonials. He may do a half-assed demonstration that proves nothing. He may interview an expert who explains the “science” behind the product. Then you try it and it doesn’t work. Then you look for the scientific studies that supposedly proved it works, and you discover that, as Gertrude Stein said of Oakland, “there’s no there there.” Like the used car salesman, Dr. Oz has sold you a lemon. How much vitamin C is there in “a squeeze of lemon juice”? Not much. 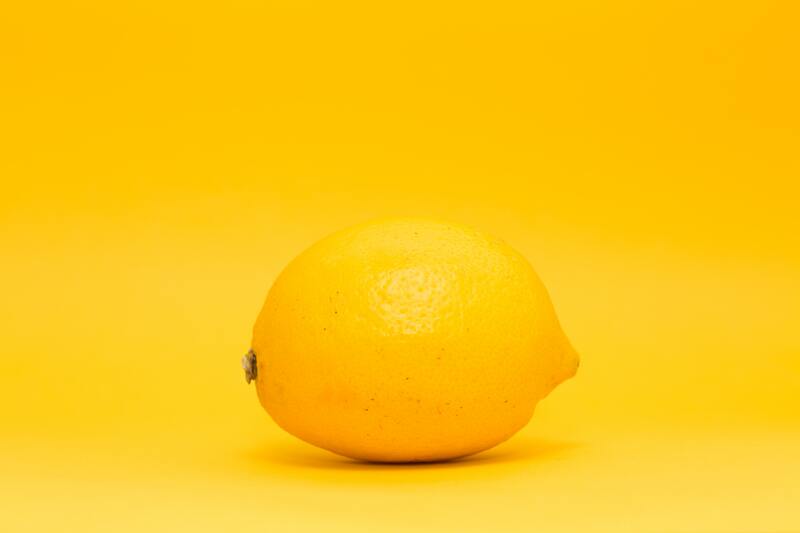 A whole medium lemon contains 92 percent of the daily requirement of vitamin C. Vitamin C is essential to prevent scurvy and support vital functions, and it is not stored so it must be ingested regularly. But many other foods are rich in vitamin C, including thyme, parsley, kale, broccoli, and strawberries. Unless you are suffering from vitamin C deficiency, you probably don’t need additional vitamin C. Any excess will just be excreted in the urine. Will your toilet be healthier? I doubt it. And what about adverse effects? Dentists warn that drinking lemon water can damage tooth enamel. If you enjoy drinking warm water with a squeeze of lemon juice, go ahead. But don’t feel obligated to drink it in the belief that it will improve your health. Get your vitamin C from a varied, healthy diet with an emphasis on fruits and vegetables. Drink whatever liquids you enjoy and drink them whenever you are thirsty. The land of reality is preferable to the land of Oz.